My name is John F. Lia. I am a Nationally Boarded Clinical Massage Therapist servicing Rockland and Westchester Counties in New York and Long Beach Island in New Jersey. I had been a caregiver for more than 25 years, in various roles as a Radiologic Technologist. As a technologist I interacted with many patients who were suffering from preventable injuries and chronic pain on a daily basis and I decided to be on the proactive side of improving the quality of life. My path led me to expand my professional interest to include clinical massage therapy. The term clinical massage therapy describes applications of massage techniques for the treatment of human conditions and pathology. Clinical massage therapy has been used to treat human ailments since ancient times, and is currently being intergrated into a number of medical settings as a complementary therapy. 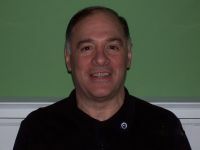 I am a graduate of the Connecticut Center for Massage Therapy in Westport, Connecticut. I am certified by the New York State Department of Education as a Licensed Massage Therapist, L.M.T., in New Jersey, by the Office of the Attorney General Consumer Affairs Division and the Board of Nursing and Board Certified by the National Certification Board of Therapeutic Massage and Bodywork, NCBTMB and a active member of the American Massage Therapy Association, AMTA. My approach to massage is an integrated technique of Medical/Rehabilitative (Clinical), Swedish Massage, Sports Massage, Deep Tissue, Advanced Myofascial Release, Neuromuscular Therapy (Trigger Point), Reciprocal Inhibition a Proprioceptive Neuro Facilitation (PNF), Acupressure, Manual Lymph Drainage, Reflexology, Orthopedic Massage and Visceral Manipulation.